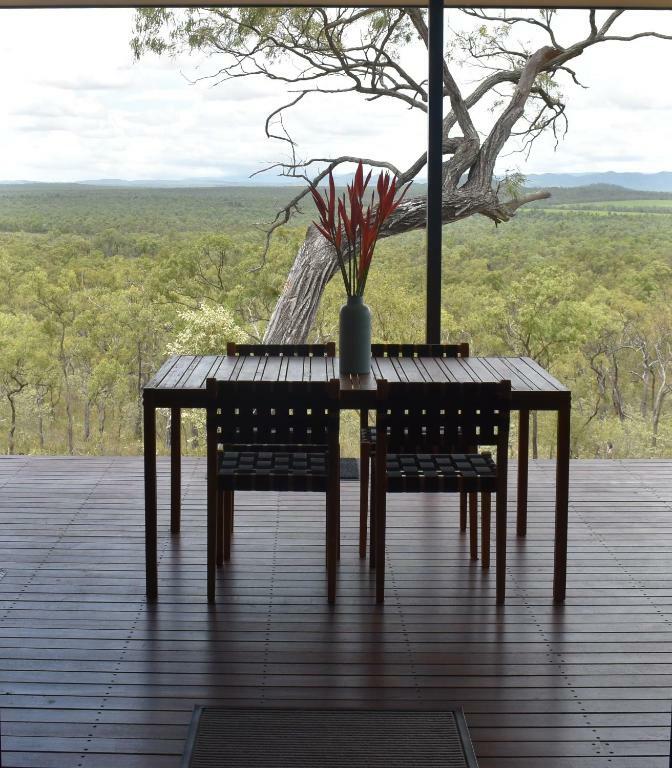 Located in Dimbulah in Tropical North Queensland, Ironbark House features outback views over the 1,345 acre property from its two generous balconies. 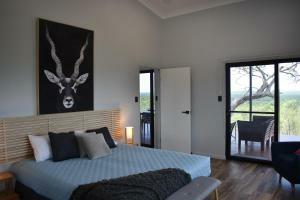 The farm stay has a barbecue, lounges and dining furniture from which you can view wildlife. The farm stay is equipped with 2 spacious bedrooms, both with large private bathrooms, views and cupboards. There is a large, modern fully equipped kitchen with dining areas inside and a living area with plenty of seating, a flat-screen TV and CD player with Bluetooth. The property uses solar power and harvests all its own water. Guests at Ironbark can enjoy birding or farm tours with an experienced guide, outback horse riding tours, or hike around the property viewing iconic wildlife such as wallabies and eagles. The nearest airport is Cairns Airport, 73 mi from the accommodations. When would you like to stay at Ironbark House? This chalet has a balcony, CD player and kitchen. 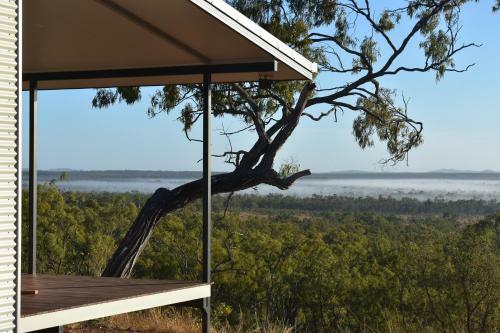 Ironbark House is situated on the ridgeline of Ironbark Hill approximately 600 metres above sea level gazing out across the wilderness. 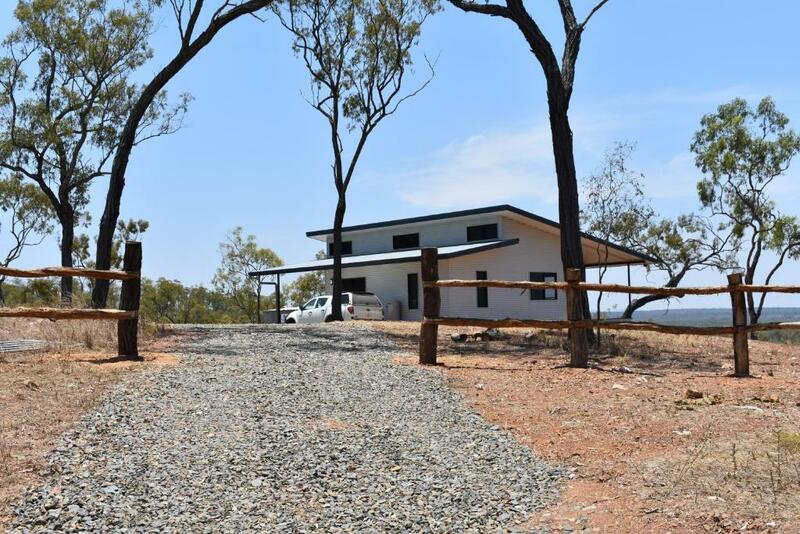 This totally off-grid 1345 acre property which has its own solar power generation system, sewage treatment and harvests all its own water, is located on the outskirts of the Atherton Tablelands in the farming district of Dimbulah on route to Mt Mulligan and Chillagoe. Just constructed, Ironbark House has two large bedrooms both with spacious ensuites, separated by a welcoming kitchen/dining/living area with a generous verandah over looking the most amazing vista for luxurious al-fresco dining and entertaining. The raked ceilings add to the sense of light, freedom and spaciousness that this modern Australian bush retreat has in abundance. 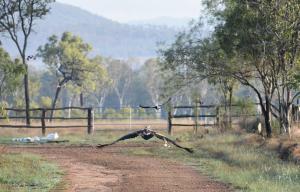 This completely private 1345 acre working cattle property is a mix of wildlife habitat, with a healthy bird population of well over 100 different species found on the property, as well as it’s own colony of rock wallabies and 6 dams. A network of trails cover the entire property accessible by a variety of means 4X4, horseback, mountain bike or of course by walking. 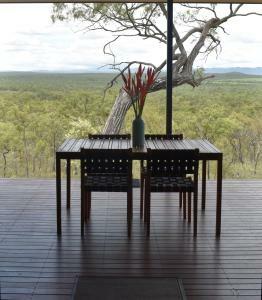 If, after exploring the property, watching wildlife or just lazing with a book you need more to do…. in the surrounding area you will find a wealth of activities, each one accessible as a day excursion….. 40klm to the north is historical Mt Mulligan who’s mine was the site of one of Australia’s worst mining disasters with 75 people loosing their lives in 1921. You can visit the mine site, cemetery and ruins of the town. The heritage listed Tyrconnel Mine and Battery (1876) nestled between Thornborough and Kingsborough is a couple of klm detour en-route to Mt Mulligan. Head West for an hour and you will reach the mining town of Chillagoe famous for its Limestone Caves, historical smelter and Marble quarries. The Caves, estimated to be between 600 to 1000 in number, can be visited alone or to access the larger deeper caves are available through Ranger guided tours. Drive South East for a change of scenery to visit the highland rainforest and farming area of the central Atherton Tablelands. Starting with Tolga and Lake Tinaroo wend your way around Yungaburra with the famous Curtain Fig tree, bio-dynamic dairies, Herberton with it’s quaint restored historical village. 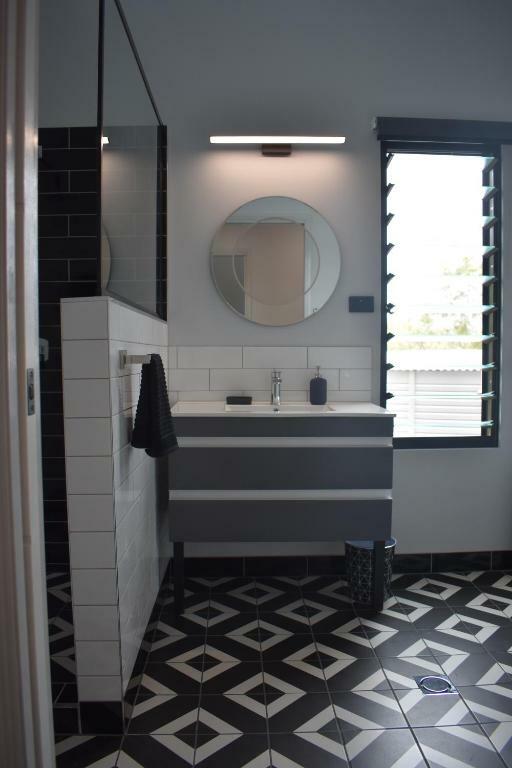 House Rules Ironbark House takes special requests – add in the next step! Up to two children under 12 years are charged AUD 50 per night when using existing beds. All children under 2 years are charged AUD 50 per night in a crib. Please inform Ironbark House of your expected arrival time in advance. You can use the Special Requests box when booking, or contact the property directly using the contact details in your confirmation. We need at least 5 reviews before we can calculate a review score. If you book and review your stay, you can help Ironbark House meet this goal.